A number of people have several questions when it comes to applying for a Nigeria Temporary Work Permit Visa. Question such as how to apply for TWP visa in Nigeria, how long it takes to get a TWP visa and even the best immigration expert to consult to obtain the Nigeria TWP visa. This article provides answers to these questions and also offers detailed guidelines and important information on how to obtain your Temporary Workers Permit (TWP) visa to Nigeria. Here you will find a step by step guide that will aid the entire process and ensure a successful application for your TWP visa. Applicants for the Nigerian TWP Visa must take note of the following information before proceeding to the application process. You can apply for the Temporary Work Permit Visa if you intend to travel to Nigeria for a minimum of one (1) day and maximum of three (3) months. Usually, you can apply for the Temporary Work Permit visa for any type of work in Nigeria. The TWP can also be issued to companies and organisations who intend to visit Nigeria for expatriates’ services for a short period of time. 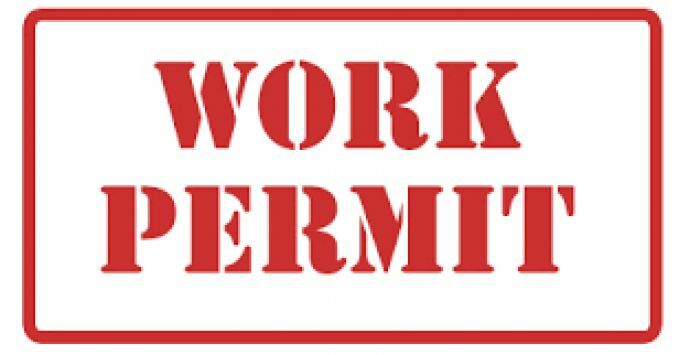 The Temporary Work Permit applicants are expected to apply directly to the Comptroller –General of Immigration (CGI) as the TWP visa will not be issued without a direct reference to the Comptroller General of Immigration. Note that the Temporary Work Permit Visa application can be applied for by email through oa@nigeriaimmigration.gov.ng. Also be informed that the Temporary Work Permit visa will not be issued at the port of entry. More importantly, applicants are advised not to purchase non-refundable tickets or make any reservations until they have secured their visa and have their passports in their possession. Applicants should bear in mind that they may be invited for interview. Finally, note that the Commission reserves the right to reject or approve visa applications hence no applicant is guaranteed visa approval. There are specific requirements to ensure a successful application for the Temporary Work Permit visa to Nigeria. First you must be in possession of a valid passport. This has to be original and valid for at least six (6) months after your stay in Nigeria. Also the passport must have at least two blank pages for the Nigerian visa stamp. You should note that the amendment pages at the back of your passport do not count for blank pages and cannot be used for Nigerian visa stamps. Secondly, you must complete your TWP Nigerian Visa application form. Note that usually, each applicant is requested to fill an application form. Therefore if you have a travel companion he or she must also fill a form. You can fill you Temporary Work Permit visa application form online. However, you must print out at least two copies of the completed application form for reference purposes. 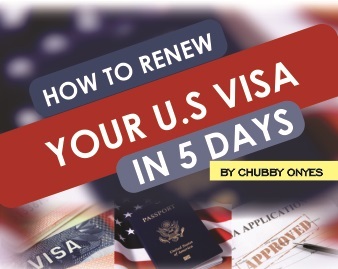 Applicants also need a pre-approved visa letter which is usually valid for ninety (90) days from the date of issuance. Your first and last name must match the first and last name of the credit card you are using for payment. Cash payments are not allowed to pay for visa fees. Travel Itinerary: you may be required to provide an evidence of travel arrangements such as a computer generated flight itinerary or copies of airline tickets. After you have done this, you will be provided with the application form which you should fill correctly and sign. Then you will redirected to the online partial payment for your TWP visa. A proof of existing contract such as purchase of machinery to be installed. Note that documents a, b and c are to be submitted by applicants applying for the first time only, Subsequent applications by same company will not require these three documents. Note: applicants must note that successfully paying for the TWP visa does not guarantee that your visa will been approved. You can check for the fees for your country here . Now this is where you attach your passports, your duly completed visa application for (Form IMM222) as well as other documents required and submit. Through the post to the Nigerian Embassy, Consulate or High Commission where you reside or from where you are applying. Now that you have completed your application and submitted. The next thing is to wait for the Comptroller General of Immigration’s approval. Usually, this will take up to 48 hours from the time of receipt of your application. For more information on how to successfully apply for the Nigerian Temporary Work Permit Visa, you can contact us or send us a message. Our team at of travel experts can also help you obtain your Nigeria Temporary work Visa without any hassle.